In January, the Square Enix terms "HD-2D" and "HD2D" were trademarked in Europe. These terms were used by the Japanese developer and publisher to describe the graphical aesthetic featured in last year's Switch exclusive, Octopath Traveler. Final Fantasy Adventure was last spotted on the PlayStation Vita and mobile devices as a 3D remake called Adventures of Mana. The original version also featured in the Seiken Densetsu Collection for Switch, which was exclusive to Japan. This compilation included Seiken Densetsu 1 to 3. A 3D remake for Secret of Mana also arrived on multiple platforms including PlayStation devices and PC last February. Siliconera suggests it's worth keeping an eye out for what could be a possible Seiken Densetsu 3 trademark in the future. Mana Collection in the West finally? Gimme gimme! Why is it so difficult to just give us the Mana Collection to begin with? After all, only the third game needs localization anyways. Also it wouldn't hurt to also add the GBA version of Sword of Mana to the western collection as well and this time add a more dedicated co-op feature to it so 2 players could play together. Same if they brought the 3rd game to the west, they could patch the third game so Seiken Densetsu 3 could be a true 3-player co-op experience instead of 2 like the original Japanese release. Why would they even need to apply for trademarks, given how recently those remakes came out? It's very odd. Maybe the Mana Collection will be one of the bigger surprises of the Direct? I can dream, can't I? 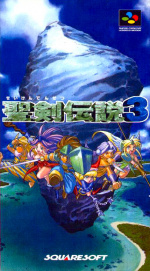 Seiken Densetsu 3 was the last great Mana game imo, but the rest are pretty good. I have a modded SNES Classic with all of the Mana games, so I probably won't bother with this but I absolutely recommend Densetsu 3, one of my favorite JRPGs of all time (if you couldn't tell by my avatar). Seiken Densetsu 3 would be nice to have for sure, that game is quite good, and it would really nice for that game to finally get an official release outside japan. If it's the Secret of Mana remake then I dunno if really care, I'm not too big on the game in general and the remake frankly doesn't look like it's very good. Nothing but love for Final Fantasy Adventure. I played that game to death when I was a kid. The Chocobot alone is worth the price of admission. I remember how many magazines at the time called FFA Square's opening salvo in some imagined war between Zelda and Final Fantasy. Having said that, part of me would much rather have remastered/remade versions of SaGa 1-3 & SaGa Frontier instead. Those first three SaGa games (Final Fantasy Legend I-III) were portable epics. I know that FFL2 was remade in 3D, but I'd much rather see an Octopath Traveler style remake with an expanded story. Finally but be on all physical carts no Digital. @Spudtendo to me Legend of Mana remains as the best in the series, but I guess it’s personal taste. Never liked Secret of Mana that much. Sword of Mana on GBA was also great, I’d take it over the original. Being bilingual has allowed me to enjoy the Seiken Densetsu Collection since launch but I sure hope this means good news for a Western release of it or other Mana titles! The only negative I have to say about the original FFA is that the key system might make it possible to softlock yourself inside a dungeon. I think it happened my second playthrough. Unless I just got really unlucky with enemies dropping more keys? Did I read the article too quickly? Could we see the Octopath art style used on these remakes? I’d be interested in that for sure. The 3D game on Vita and PS4 would be a pass from me. If it goes physical I promise you the box art will be ugly or boring and devoid of color and a background compared to the Japanese one. If we're getting the remake too, the only thing left to get out of Sony's hands will be the Kingdom Hearts remasters. As for Final Fantasy Adventure... heh, weird choice. But hey, the more, the merrier! That's awesome if true. A lot of gamer's are wanting this game despite only being released in Japan. I recently put the 3rd game on my Snes mini so it may not be worth it for all of us. Now this I wouldnt mind if it were digital only, just as long as we get it. Hear that Square Enix? If it makes bringing that collection must less costly, DO IT. I'd much prefer the original 2D release... The lack of co-op in the 3D remake was greatly disappointing. I prefer the Collection over the 3D remake, i hope they finally bring it to the west. Whatever they do, I hope it is better than their secret of mana 3D remake. Hopefully the long awaited collection followed by a brand new hd2d game as good, if not better, than seiken densetsu 4. Just call it Breath of Mana and make it good. Might as well release Breath of Fire and Lufia collections as well, and while they’re at it, a Gaia series collection. I’m sure there are many interested parties in the Americas who still have never played Terranigma to this day. @ilikeike a dream is exactly what it is. I wonder if it means we would really be getting the third game, or if they are releasing the first two in some different form. Sorry but I can't help it. Cool if the collection comes west (as it will be cheaper) I keep buying other JPN games otherwise. Probably going to be the two 3D remakes. They're not going to put in the effort to translate the 3rd game. They could just be, you know, renewing the copyright. Just saying. 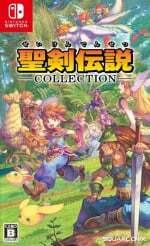 I wish Square Enix would hurry up with translating the Seiken Densetsu Collection for Switch and bring that to the West. Secret of Mana is one of my favourite games and I'm glad I got to replay it on the SNES Classic but it would be even better to have this collection released on the Switch (or make it part of the launch of any SNES Nintendo Switch Online app). It's a lot to digest, but all I need is Seiken Densetsu 3. I've played the others, and this is all I need to die a happy man. This is great for anyone who has never experienced these games in any form though. If this means they're giving us the Mana Collection, then yes please. While Secret of Mana is a classic and fun in it's own right I did a recent play through and it does not hold up that well anymore aside from the music, now SD3 holds up really well in comparison and it is a shame it was never officially released here.